Another Marketing Tech Magnified is on March 15, right around the corner. The theme of our 2019 conference is MarTech, Data, and the Marketing Mix. So why this theme? What’s the story? And why is marketing technology, data, and the marketing mix the basis of the action-packed day of insightful discourse at Marketing Tech Magnified 2019? The WaveLength team, the lead conference organizer, landed on this theme for a few reasons. It’s undeniable that the early years of marketing automation brought this mad rush to email. Those previously hard-coded HTML marketing emails became a whole lot easier to pump out. And all those emailed newsletters and promotions worked pretty well, too. With GDPR and privacy, deliverability challenges, email saturation, the email channel does not get the results it used to get. Even if you do get get to the inbox, engagement and click-through rates are not as great as they once were. Here at WaveLength Analytics, we’ve made no secret that we believe there’s been overdependence on email. It’s sadly turning marketing departments into promotion departments. In sum, automation makes marketing more transactional. And as it becomes more like a transaction, it frankly leads to less thinking. Few marketers would disagree that it’s been hyper-focused on amassing quantities of marketing qualified leads (MQLs). We’ve got a new crop of marketers who have only known automation and less strategic marketing. Of course, it’s been at the expense of the rest of the 4 Ps. Reduced Market and Customer Focus. Marketing’s involvement in product, pricing, and place? Along with go-to-market thinking, products, prices and markets have been almost ignored by marketing. 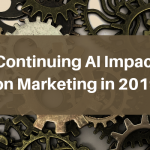 Instead, marketing has handed over the market focus to product and engineering teams and the customer focus has moved more and more into sales enablement. So obviously, the second reason for MTM 2019’s theme is related to the first reason. It’s high-time marketers expand beyond email and all things related. Get beyond gated content, which only separates your content from potential readers. A completed form does not equal a real lead. Widely-defined market targets means you probably won’t hit one. And please, quit with the bought contact lists. All in all, It’s high time we use more channels in the marketing mix. Instead, why not venture boldly into building trusted, enduring relationships? After all, people do business with people. The ones they know. Building relationships means you need to know the kind of enterprises and buyers you’re trying to reach. To make sure you’re providing the right kind of value, you need market insights and market planning. And data helps planning. 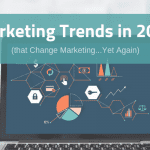 So it’s high time for marketers to take good advantage of all that data generated from all corners of marketing technology from the greater marketing mix– web, social, ad tech, marketing automation, customer relationship management, and even PR. Relationship Requires Mutual Exchange of Value. Lastly, conference planning meetings identified a disconnect that was worthy of exploring. Some team members simply wanted sessions to solve very tactical problems. Meanwhile, others simply wondered whether the obsession with tactical decisions like subject lines and ad colors – and spending time watching their performance 24 by 7, came at the expense of more strategic decisions. Thus, here is the story behind the theme of MarTech, Data, and the Marketing Mix. The conference stays true to it, too. After all, the keynote is about balancing thinking with automation. 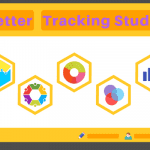 The day then continues with healthy data habits, case studies on non-core marketing technology in the stack, and then to case studies of great campaigns that use more of the marketing mix. Marketing Tech Magnified comes to an end with a hard-hitting Ask Me Anything (AMA) Panel. 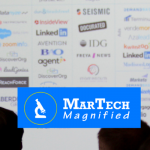 Please join the WaveLength Analytics team on March 15th in Ballston for Marketing Tech Magnified 2019. After all, we all but offer a money-back guarantee that it’s well worth your money, as well as your day away from the office. In fact, we’ll go do far as to guarantee that it’s certain to be the most impactful marketing conference in the DC area all year.